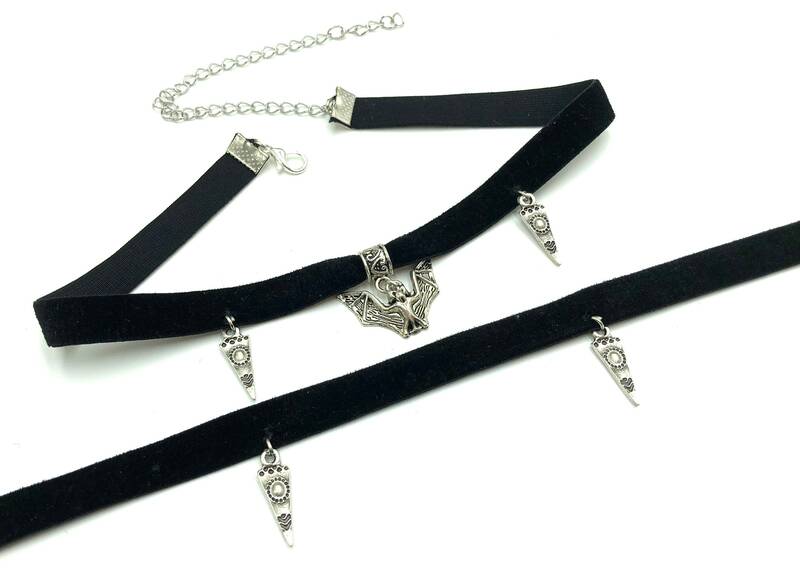 The Lugosi Choker is available with or without a bat focal point charm. Each choker is 11 inches long with a 5 inch soldered stainless steel extender chain. Lead and nickel free. Elastic velvet is 3/8 inches thick and is soft and comfortable to wear. This is my favorite shop for chockers and these are just as wonderful as ones I've purchased in the past!